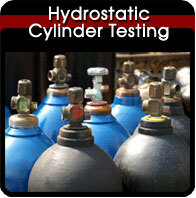 Empire Cylinder can perform DOT Hydrostatic testing of your portable aviation Oxygen cylinders. We test Ski Ox, Airox, Air-King and all other portable aviation oxygen tanks. Ship us your cylinders and we’ll turn them around in 2 days. Fly high, save Avgas! Get that portable O2 system out of the closet and start using it again! We offer Hydrostatic testing of on board aircraft O2 cylinders. The FAA has issued FSIMS bulletin 8900.1 CHG 218 to clarify how aircraft operators are to administer the maintenance requirements of high pressure cylinders used on US registered aircraft. This applies to cylinders installed in certificated aircraft in ANY CATEGORY. (Yes, even you Experimental guys…) Check out the link for the current rev. or give Andrew a call. 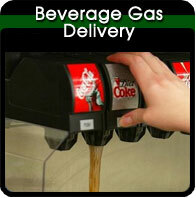 Have your mechanic remove and ship us your bottle. Andrew has been an A&P mechanic for 26 years and will perform every Aviation Oxygen cylinder Hydro test personally. We know aluminum, steel, hoop wrapped and fiber wound aviation cylinders. We have the proper equipment to test them and the correct low stress stamps to mark your cylinder with. Don’t risk your expensive, certified O2 cylinder by letting Bubba’s nephew test it behind the fire extinguisher store. At Empire Cylinder, we test clean gas and breathing air tanks only. There is zero possibility of contaminating the tanks you and your passengers depend on. 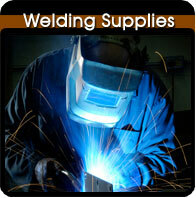 We never deal with fire extinguisher dry chemical powder or industrial gases or liquids. Let a trained aviation mechanic handle your bottle and maintain it’s flight-worthy condition. At Empire Cylinder, we speak Aviation.